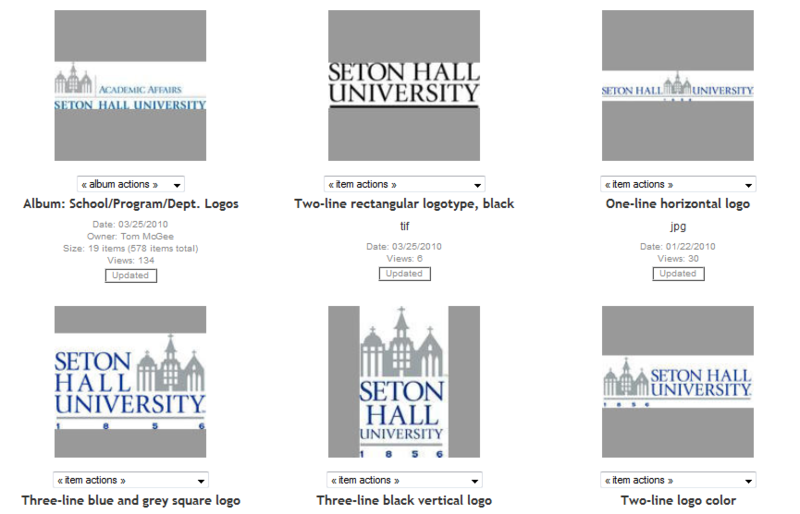 Branding your blog with Seton Hall’s logo helps leverage the University’s identity, improving the visibility of your blog as well as enhancing the quantity of University-branded content on the Web. We have a few resources that can help. 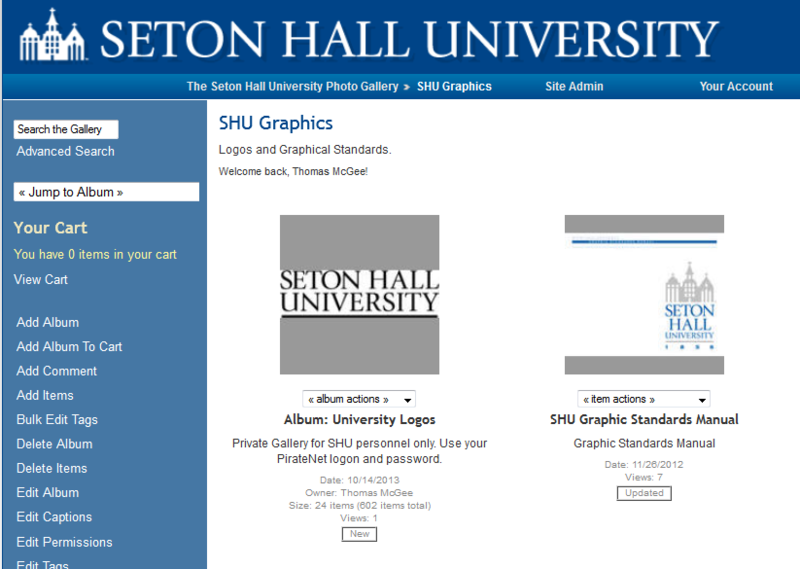 On the University Photo Gallery there is a section of SHU Graphics. Start by downloading a copy of the Graphic Standards Manual, which gives you some tips on what to avoid. As with any good corporate identity system, there are some rules of the road you have to follow — what you can use, where and how. Inside the password-protected University Logos section you’ll find approved logos in different file formats and configurations for the University as well as the two- and three-tiered school-by-school logos. These can all be opened into your image-editing apps and uploaded to your blog, where you can use them in headers, footers or sidebar widgets. As always, drop us a line if you need any assistance or guidance! Nice logos but only in black and white? Some have blue. But those are our “corporate” colors.